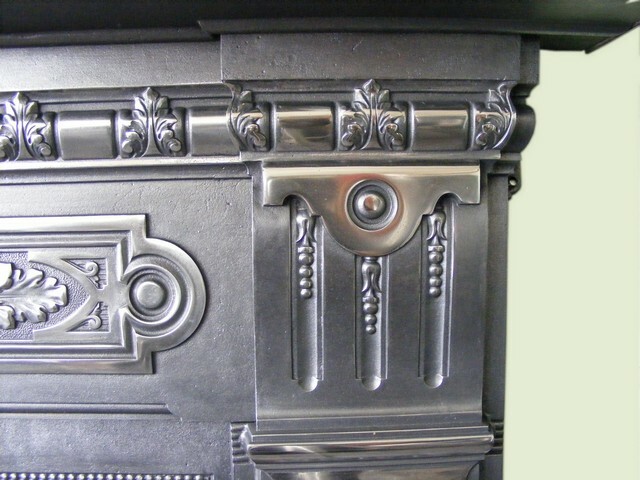 Category: Antique Fire Surrounds and Inserts (Available separately), Cast Iron Fireplaces, Victorian Fireplaces, View All Antique Fireplaces. 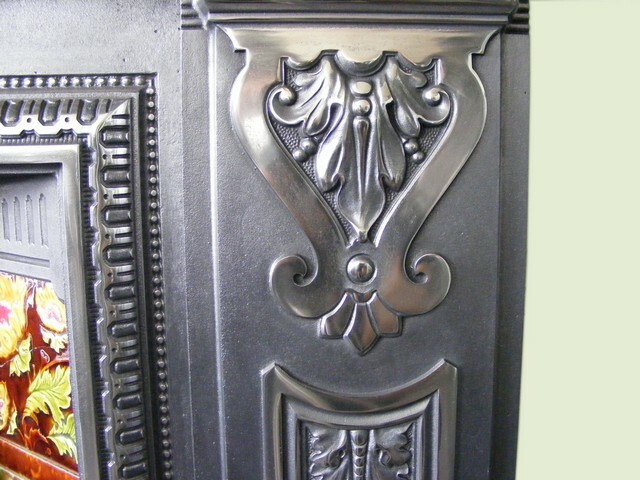 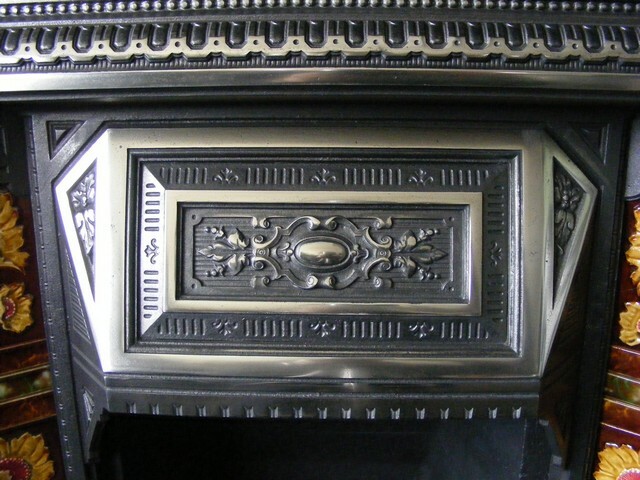 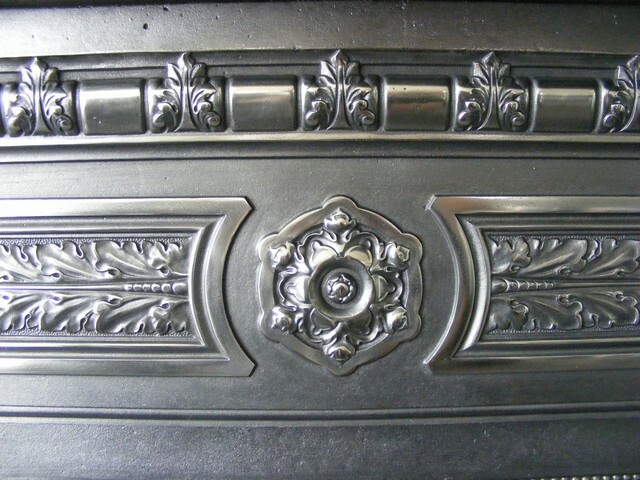 Victorian cast iron fire surround (ACS-1402) An exquisite Victorian cast iron surround lavishly decorated with stylised fern and flora, made in 1890 and now fully restored to its former splendour including reinstating its original high metal polished finish, an outstanding fireplace. 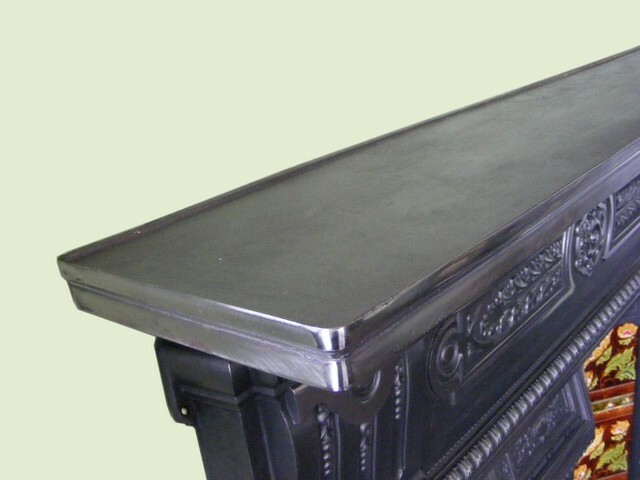 Measures 60”wide x 51”high with an opening 36”wide x 38”high. 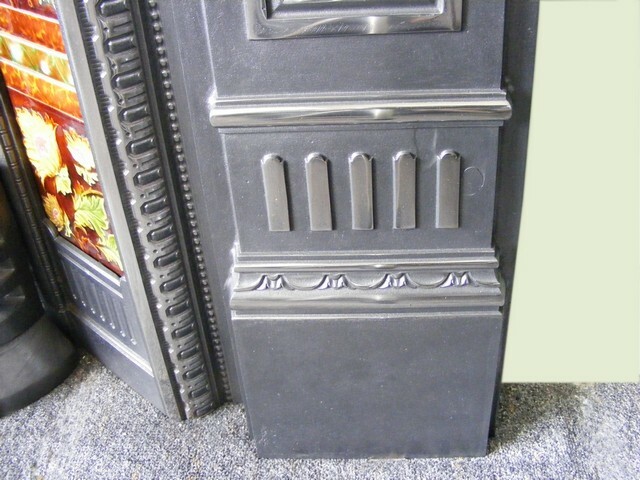 Priced at £1350.00. 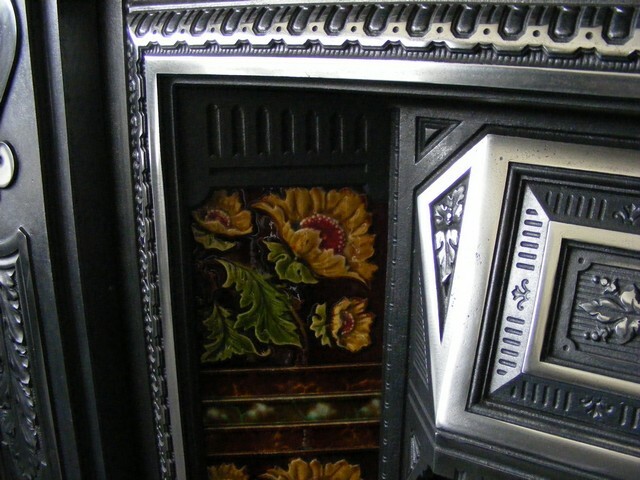 Victorian tiled insert (ATI-1403) A striking Victorian tiled insert with a superb set of original Majolica tiles, a very fine casting which has been fully restored including reinstating its original high metal finish. 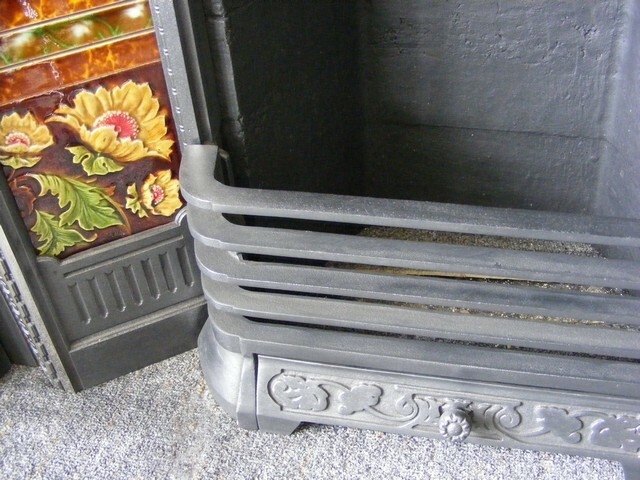 Comes complete with a new fireback suitable for use with a gas or solid fuel fire. Measures 38”wide x 38”high with a16” fire opening. 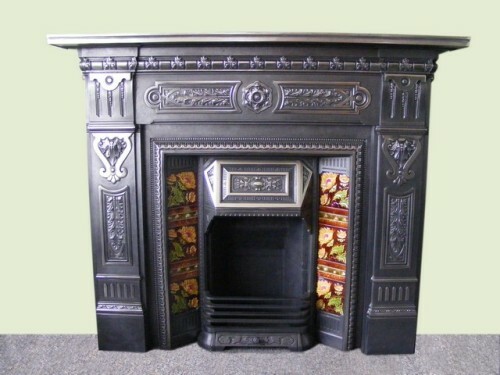 Priced at £750.00.